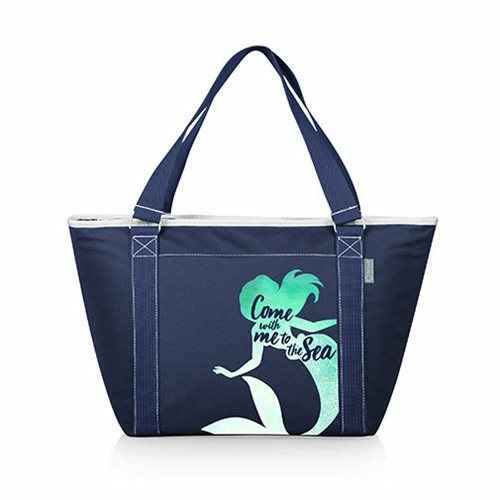 The Little Mermaid Topanga Cooler Tote Bag is the perfect all-around bag. It's made of durable polyester with complementing stitching accents to enhance its simple yet sophisticated lines. The interior is made of heat-sealed PVC for no leaks and it's large enough to carry 24 soda cans. All materials exceed federal and state product safety standards, so you can be assured it's safe. 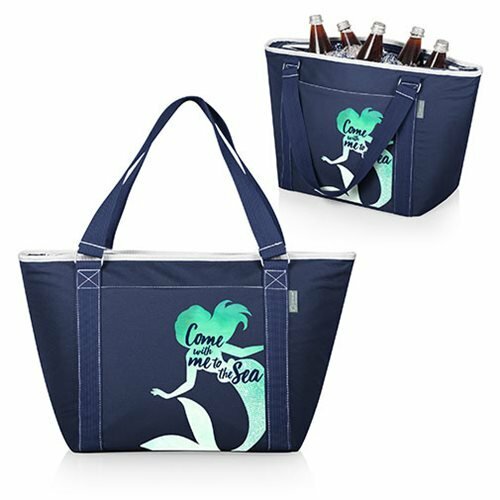 It's perfect for carrying food and drinks to the beach or pool and features a separate exterior pocket that's the perfect size for your wallet or keys. 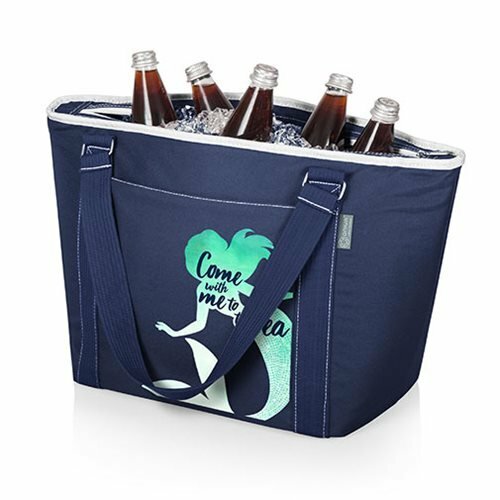 It can also be used to carry your wet swimsuits and towels on the trip home. Just pack it up and go! Measures 21-inches long x 13-inches tall x 8 1/2-inches wide.